There are so many WOW moments while exploring the wonders of Baja….gliding alongside a whale shark, the world’s largest fish, bracing as a massive mama gray whale gently nudges our tiny ponga boat or a 90 foot blue whale emerges next to us with an explosive breath. However, I am always fascinated by the intricate details of life as we explore Baja….the grains of sand on a newwborn sea turtle’s back, a tiny shrimp mimicing the tube feet of a sea star, the vibrant hues of a pufferfish eye. Our next Baja adventure is February 2017, join us at http://www.bluewaterventures.org! Our new whale camp provided by our amazing Mexican Outfitters, Mar y Aventuras is truly outstanding. Each day, mama gray whales and their offspring chose close and intimate encounters with us. There was never a session in which this unbelievable and profound blending of two species did not occur. Baja whale camp was a joyful and moving celebration of these magnificent mammals who offer so many lessons to teach us. Slaughtered to near extinction in the lagoons of Baja, Gray whales now gently bring their offspring to us. What is the message conveyed to their young? We are back from one of the most profound wildlife encounters of my 30 year career as a naturalist…..Gray Whales of Baja featuring our new whale camp with http://www.bluewaterventures.org. Thanks to our incredible Mexican Outfitter, Mar y Aventuras~top notch! The Castillo family welcomed our participation in their efforts to help save the endangered olive ridley sea turtles. We were humbled and honored to be a part of the program. As the sun dipped below the blue horizon, we watched 100’s of little tortugas erupt out of the Baja sand. We then carried them a bit closer to the water’s edge preventing any land predators from taking their toll. As the little tortugas labored towards the water’s edge, valuable information is gathered in a process known as imprinting. Several decades later and after thousands of miles of open ocean swimming, female olive ridleys will return to the beach they were born at. There in the darkness of night she will deposit her own clutch of eggs and the life cycle continues. To swim among the massive whale sharks then witness the little turtle’s incredible journey will remain on our Blue Water bucket list…..join us next November on our warm water Baja adventure at http://www.bluewaterventures.org. Every february Blue Water Ventures travels to the whale breeding lagoons of Baja and the Sea of Cortez teaming up with our incredible local outfitter, Mar Y Aventuras. For 10 action packed days, we snorkel with sea lions, observe reef fish, sea kayak, beachcomb and hope for a ‘friendly” encounter with the California gray whales of Magdalena Bay. Considered a pelagic wanderer, The Atlantic Devil Ray, Mobula hypostoma searches for its preferred prey, crustaceans such as shrimp and krill. Employing its cephalic fins to focus food towards its mouth, it sometimes feeds in shoals along the Florida Gulf Coast. Each year, Blue Water Ventures travels to the Sea of Cortez on a 10 day expedition where we sometimes have the extraordinary experience of snorkeling with Mobulas as shown in the video. Lacking a defensive spine, Mobulas find protection through sheer speed and in the company of other rays. 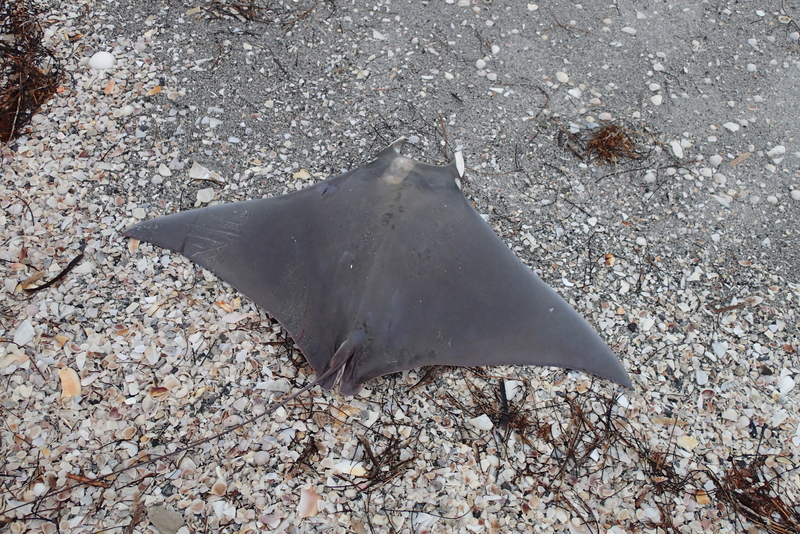 Their common name “devil ray” is derived from the curled appearance of their cephalic fins when not in the feeding mode. 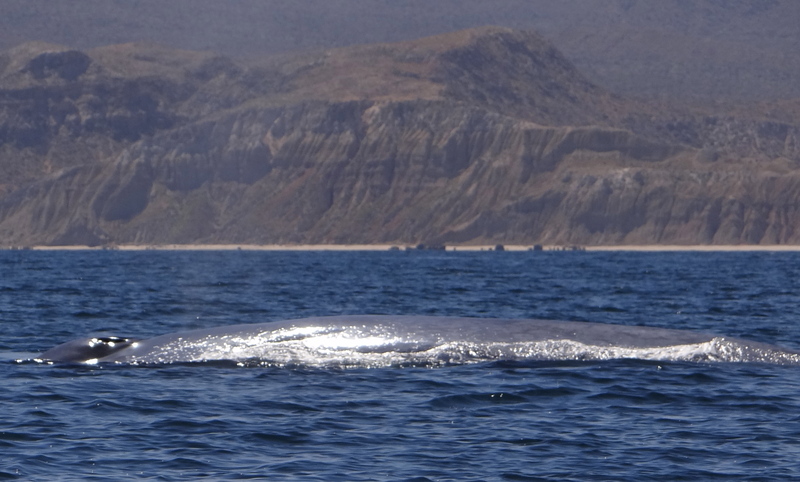 While Island Hopping in the Sea of Cortez, we encountered the largest animal on earth, the majestic blue whale. Reaching a length of over 100 feet, blues sustain themselves on a diet of krill, a tiny crustacean. Hunted to near extinction in the 1920’s, blue whales are thought to use the Sea of Cortez as a nursery area. Baby blues are born 25 feet in length and 6000 pounds. Consuming 100-150 gallons of milk per day, calves may gain 10 pounds per hour and are weaned after 6 months. The California coast supports the world’s largest concentration of blue whales. Monterey Bay is a summer feeding ground for the endangered blue whales. 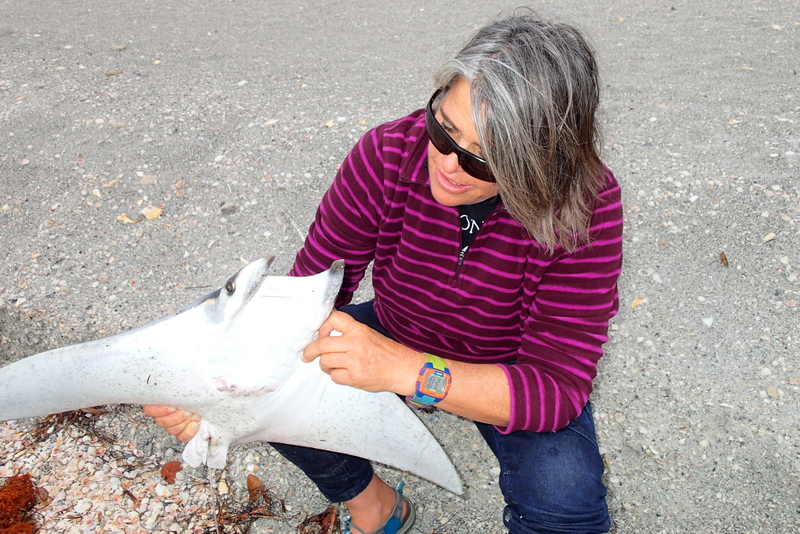 Each day we have new discoveries during our yearly Baja Adventure to the Sea of Cortez and Magdalena Bay. 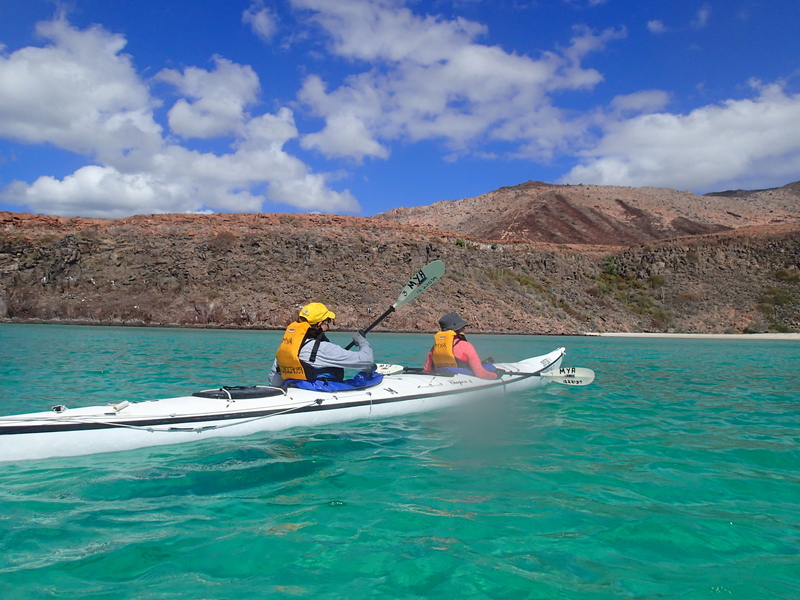 Our Baja programs are offered each year late January through February. Today we snorkeled among 100’s of Golden Cow Nose Rays…..simply magnificent! Capable of detecting the weak bioelectric fields of their prey such as benthic clams, these incredible cartilaginous fish are amazing to observe at such close range. Related to the majestic spotted eagle rays, the golden cownose rays have a defensive spine at the base of their tale.